<!-Kerr Eby. 1890-1946--> Kerr Eby. St. Agricol. 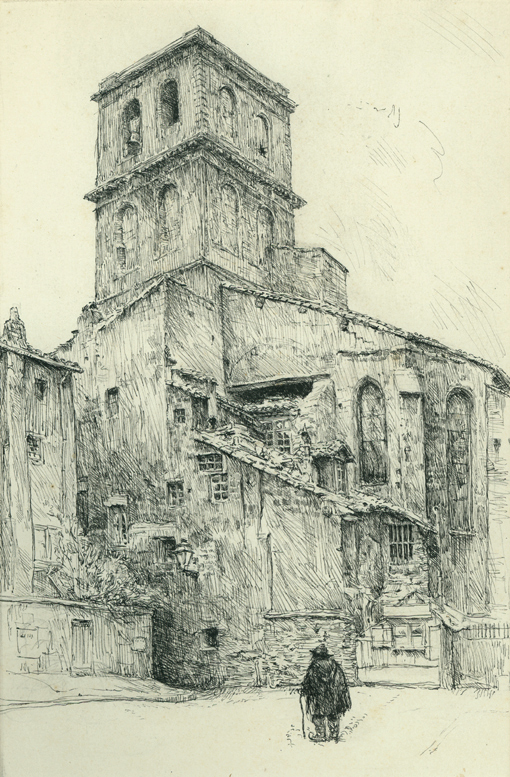 Saint Agricol Church, Avignon. c. 1919. Pen and ink drawing. 10 3/8 x 7 (sheet 11 1/4 x 8 3/8). Titled 'St. Agricol' , lower left; unsigned. $450. 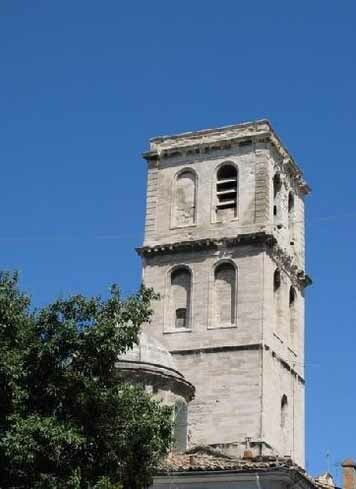 The Saint-Agricol d’Avignon church was founded in the 10th century over the ruins of an ancient mediaeval structure. The relics of Saint Agricole, the patron saint of Avignon, are found within his namesake church. His relics had been at the nearby church of Saint-Pierre, but were moved in the 12th century when Eglise Saint-Agricole was built in his honour. In 1321, Pope John XXII decided to finance a part of its construction works and raised it to the rank of a collegiate church. In the 15th century, the church was renovated: the nave was elongated to connect it to the Aumône de la Petite Fusterie chapel and the beautiful Gothic facade was added. Damaged during the French Revolution, the Saint Agricol church was restored in the 19th century and served as a cathedral until the renovation of the Notre Dame des Doms in Avignon.